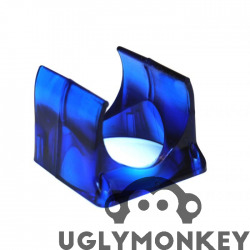 This hotend is recommended for ABS printing. 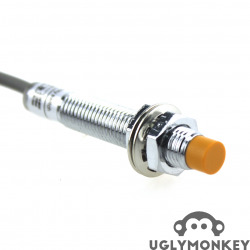 PLA tends to get stuck in this hotend as it does not have a PTFE liner at all. 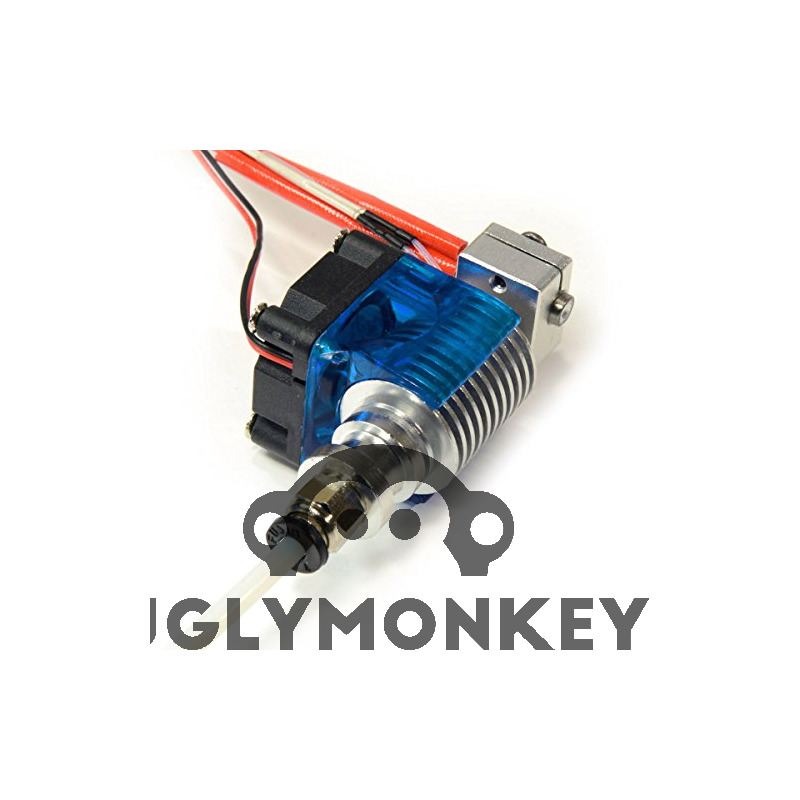 This is a FULL Metal hotend, for ABS, PLA PLUS, Nylon, etc materials. 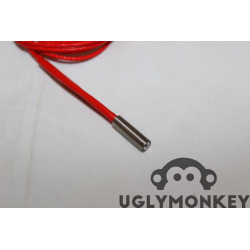 This E3D V6 Metal Hot End is based on the original E3D V6 Hot End design. 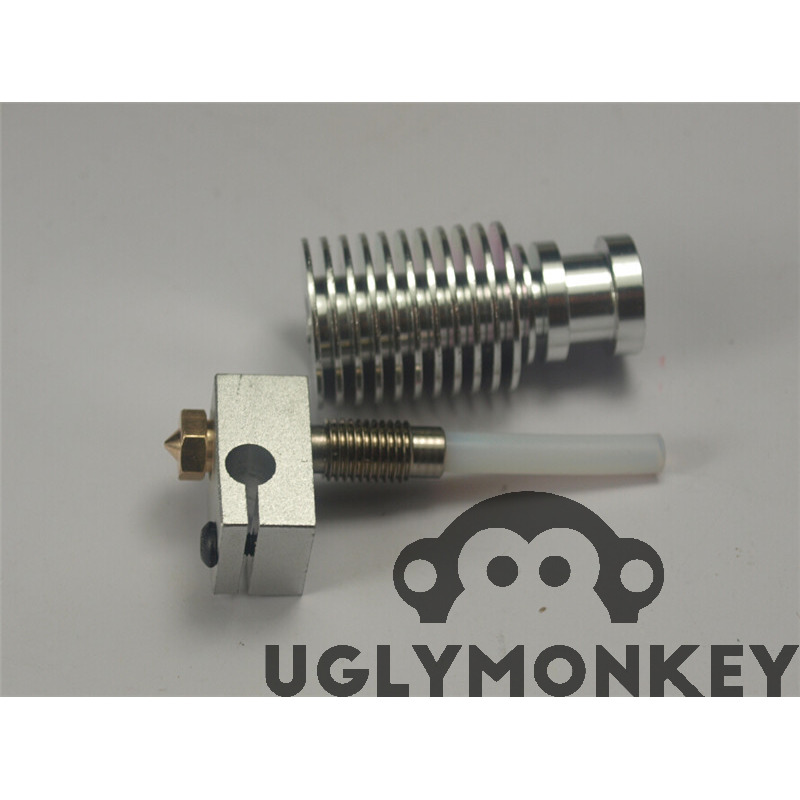 This is not the Original E3D Hotend. 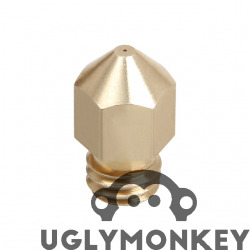 The V6 hot end is an upgrade from the V5 design. 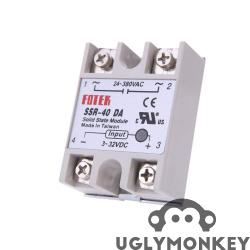 The heaterblock has been improved by clamping the heater cartridge in place and the fixing the thermistor with a small hexagon cap screw. 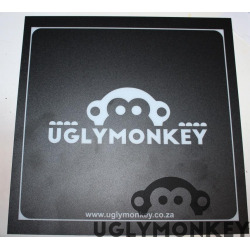 This design is more robust and allows for improved thermal transfer. Another improvement is the V6 hot end is about 10mm shorter in length than the V5 hot end. 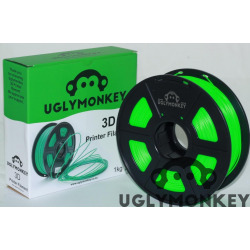 This allows for higher prints and a more compact look. 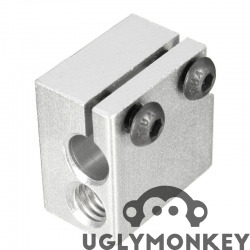 The E3d Full metal hotend will still fit in the normal V5 hotend clamp. 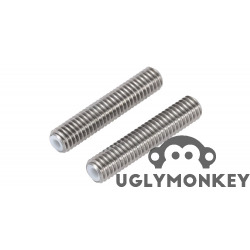 This hot end is a hybrid between the J-head hot end and the All Metal hot end, because it has the sturdy metal stucture of the All Metal hot end with a cooling fan and the easy to use internal structure of the J-Head hot end with the high temperature PTFE liner. 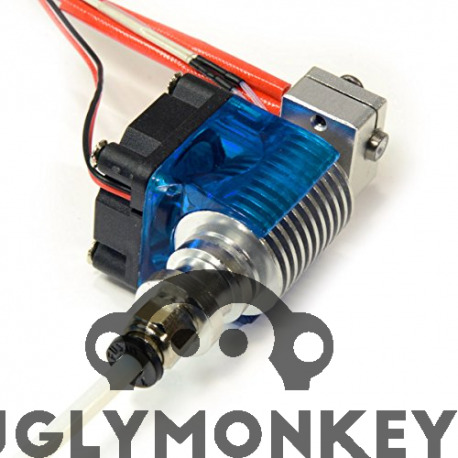 Please note that these hotends have been modified by Uglymonkey for improved print quality. 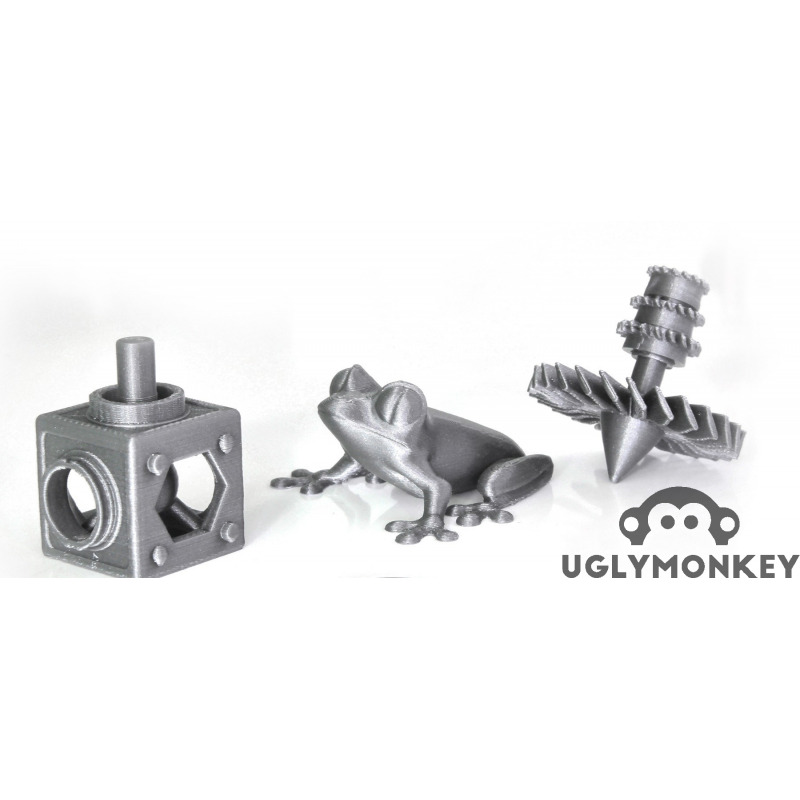 It uses a fan to constantly blow air over the cooling fins to cool down the hot end quickly enough for accurate printing. 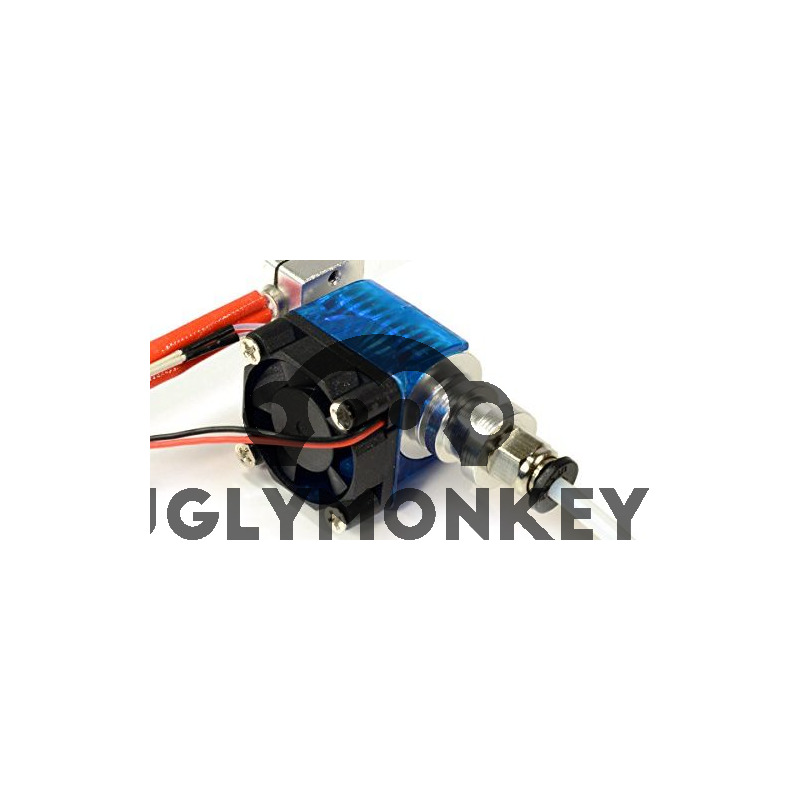 This is a easy to use, high quality hot end and has been tested with ABS, PLA, Nylon, PC and Flexible filament and up to a temperature of 300 Deg C. This hot end comes with cooling fan, heater cartridge and thermistor. 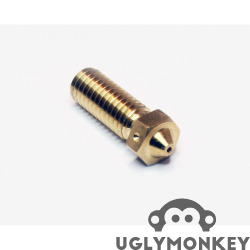 This hot end is for a bowden 1.75mm filament and can be ordered with a 0.5, 0.4 or 0.3mm nozzle. 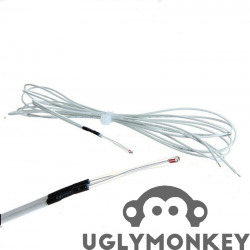 It comes installed with a 12V fan and van shroud for cooling as well as a 12V, 40W heater cartridge and 100k thermistor with leads. 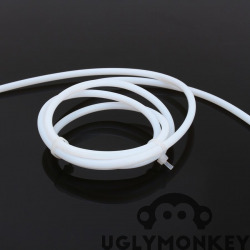 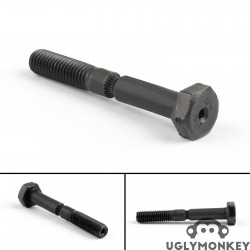 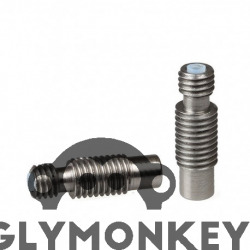 The bowden connector is included and is design for a PTFE tube with 4mm OD and 2mm ID. 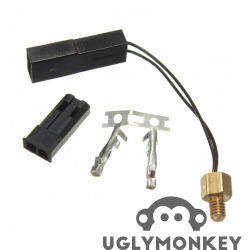 Note: It is possible that the hot end might leak plastic at the heater block when it is used for the first time. 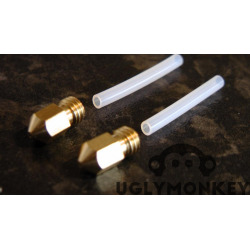 This is because the nozzle was tightened at room temperature and when the hot end is heated up to printing temperature, a small gap is created between the nozzle and the heat break. 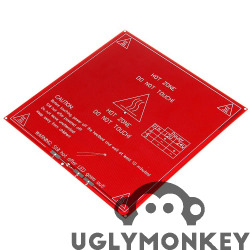 To solve this, heat the hot end to printing temperature. 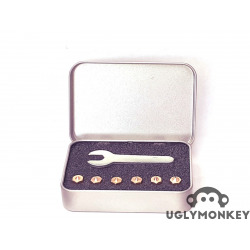 Hold the heater block with pliers and tighten the nozzle with a 7 spanner, a little bit at a time so that the nozzle seats on the heat break. 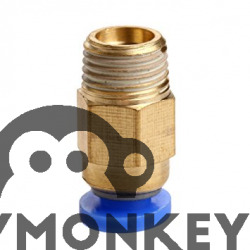 Please do not force the nozzle otherwise you will strip the heater block. 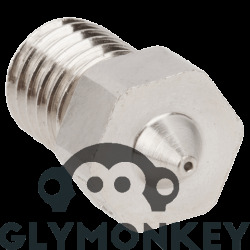 We recommend heating the hotend to about 180 Degrees Celsius, then tighten the nozzle. 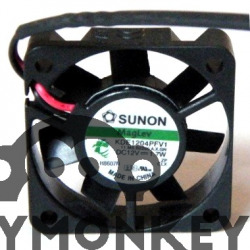 Careful not to burn yourself. 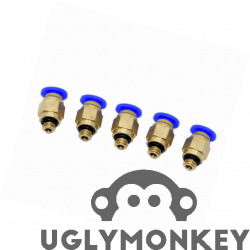 Always use a shifting or pliers to hold the heater block in place then use a 7 spanner to tighten the nozzle.